If I could I would give this game 0 stars. I cant believe how many ads are within it you are forced to wait through. I can understand some here and there but it’s basically after everything you do. Then you are allotted only so many lives. If you want to progress you need to spend money. Pretty much a waste of a game i can see the Jew noses from hundreds of miles away. 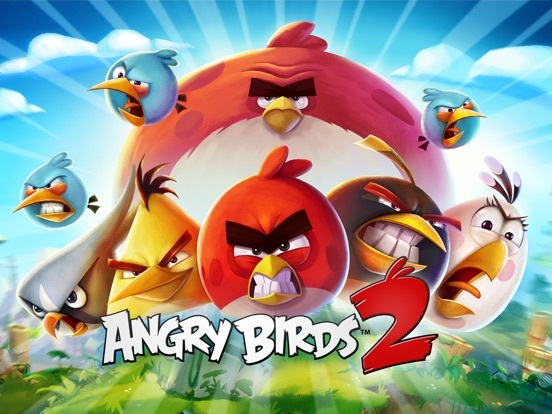 Angry Birds 2 is the best! I think that this game is so awesome! One, it has good graphics. Two, it has great gameplay and awesome tournaments. And three, there are countless ways to make the game more fun with games like the arena, clans, and mighty eagles boot camp. Thank you, Rovio , for making such an awesome game. I have downloaded this game several times, on cellular data and WiFi and it tells me to check my internet connection, even when I’m connected to WiFi!!! I’m so disappointed. I just wanna play but it won’t let me! I’ve downloaded this game twice & it still won’t open or play. What’s going on? 1 was like so boring but 2 was like so awesome I can’t even say anything!!! Great graphics but.... frustrating crashes and freezes stealing hard earned rewards. Needs update soon to fix bugs or will lose interest. I keep completing the pig panic, but am never given credit on the main page! I’ve been playing for years.... I just don’t like the new icons all over the screen sometimes you can’t see the whole board due to something being in the way. I need to see what I’m aiming and so that I can select the bird that I’d like to use. Dang!!!!! He is so excited for his next adventure i lllllllllllllllllllllllllllllloooooooooooooovvvvvvvvvvvvvveeeeeeeeeee this game soooooooooooooooooo much!!!!!!!!!!! Thank you !!! After every update i have a problem to restart the game . Very frustrating . Can anybody please help? The game is ok. It’s easy enough for kids to play without forcing them to use power ups to beat the game. The rewards in the chest aren’t that great. Sometimes I’ll get a rare chest but end up with a common reward which I think is stupid. Or the rarest chest and end up with something that wasn’t worth game money I used. There’s a lot of glitches in the game. It constantly logs you out and ALOT of ads. Although they don’t really force the ads down your throat, they’re still there. What’s great is that for some rewards you’re given the option to sit through an ad to get an item which is nice. The game is pretty addicting and it holds a lot to keep you entertained, you never feel like you’re doing the same thing over and over. Game crashes 90% of the time when I use the option to watch a video and get a free bird. Sneaky way to extract more money. Now as I try to post my review it keeps claiming my various nicknames are taken. Highly doubtful. I love this game but one little problem!! Great game but with flaws. Gems disappear, etc. Be patient, and you’ll be fine. Why do I keep getting kicked off when I try to open the app? The videos don’t play. Just a black screen. I’m still getting logged out and losing opportunities to get extra birds which has been causing me to lose games. The game is designed to entice people to spend their money on loot boxes in order to progress further. You are given some initial success upon login(to get people playing the game, if people lose right away chances are they’ll play something else) which is then slowed down until you spend money on in game currency. The currency is geared towards “Legendary Treasure Boxes.” $20 spent will allow you to unlock two of these boxes. Yes, two. Once open the boxes give you a 1 in 5 chance of actually getting something useful, most times you are awarded with feathers to level up a single bird. Once at a certain point after spending the game will halt your progress in single player until you spend money again, not allowing you to advance a single level. In addition to halting any progress in multiplayer, challenges, etc., once money is spent in game again, you magically start winning again for a short period. This is especially bothersome to me due to the fact the game is geared towards children with the bright color scheme, playful characters and animations. 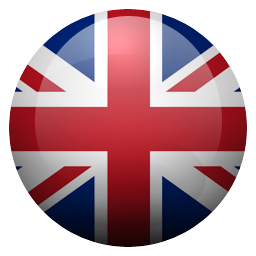 As well as being so heavily promoted within the App Store! Parents: if you don’t want your children gambling away your money on loot boxes with 1 in 5 odds, keep them away from this game!!!! In terms of gameplay and overall fun, this game is 5 stars. However, that fun can quickly be overshadowed by the ads, pop-up prompts to buy gems and other different packages, and the almost pay-to-play feel of the game. It takes a lot of grinding to collect in-game items like gems, pearls, and apples, and you spend so many of those items in short amounts of time if you want to be really successful. I will say that using these gems, apples, etc. is not necessary to play the game, but you will be at a disadvantage compared to other players who do pay real money to have a greater advantage. Great game to play, but the game has changed so much over the years to where you almost have to either play for hours or pay to keep up. If I had to ask for one thing, though, it would be some kind of payment that would get rid of ads permanently. Also, it would be cool to see our total wins and losses from the arena on our profile. The Tower of Fortune is also completely rigged and almost impossible to get to a decently high floor (like floor 15+) without using gems. Despite there being cheaters here and there on this game (and Rovio will deal with them), I feel this will always and only be the online game I will be forever committed to. Changing levels, varieties of attack spells, the clan community, the fine friends I’ve made there; it is everything I wanted in an online gaming experience. As a veteran arcader who grew up on Oregon Trail, Colecovision, MSDOS games like Commander Keen, Scorched Earth and Carmen Sandiego, I am very picky what I consider a truly fine game. If you share my type of love for gaming, AB2 is a wonderful choice. It is owned by a powerful, well-seeded franchise that is here to stay for a long time; earning one’s trust to stay loyal and grow up in the game itself. AB2 also evolves in options, characters, and prizes; this equates to keeping the experience of the challenge fresh, avoiding stagnant gameplay, constantly keeping the player entertained. If this doesn’t convince you to join the feathery culture that is Rovio, take time to listen to King Pig squeal as he falls off screen. That right there is satisfaction enough. Well, I have never written a review on anything before but I have finally felt compelled enough to write this one... I love the game BUT, like many others my game locks up and I lose my spells, the level, the stars, everything! I can't afford to keep gems in order to keep buying spells! Just this evening, I was at the 7th level, had played the last of my spells and was hoping to earn enough stars to move up in the standing and then.....locked up. So of course I had to close the game and I lost everything. So I think I'm going to take a break for awhile and not play anymore. I just don't understand how this can happen so much! Well, I guess my previous review went unread, because here I am again with the same complaint! I took the time to view the video but this time the screen goes blank and I cannot X out of anything to get back to my game so now I have to refresh my game and we all know what that means, I lose my spells, my gems and have to start the winning streak all over again and of course, will have to spend more money buying more gems......well, not this time! I believe I'm done and will be sharing my views with anyone and everyone who asks. Good job, guys and gals! I love the new Angry Birds 2. There’s a lot fun to be had in this game, but to fully enjoy the game, be prepared to dish out quite a bit of real money. In the arena, I am always paired up with players with way higher rankings. To win, you will always need to use spells, which cost money. Tower of Fortune is beyond expensive. I don’t even play it because even Rovio themselves replied to a complaint on the price of TOF. To get to the levels that reward good prizes like floor 30 and above, it typically costs me 3,000 gems or more. Real money converts to $20-$40 just to get - 1/3 of the floors. I could never afford to get to the top. I can rarely get to floor 15 without spending over a hundred gems. It’s just not worth it. Don’t even waste your gems on legendary chests because I never see prizes worth the cost. I have only won feathers or 500 pearls at best. The new clan events are cool but there again, be prepared to spend some cash to play. My clan always wins but you need to win at least 9 points to stay. That costs around 100 gems and that’s without a loss. Better not lose at all and spend that extra 60 gems to keep playing or you will lose points for the clan. So it is a fun game but very expensive if you plan on playing this game seriously. I’ll start by saying that Rovio Entertainment’s customer service is horrible. I made one in-app purchase for $0.99, and I did not even receive the award. I can verify the date and bank statement, and I can verify the fact that I did not get my full reward. Even with all of this information, Rovio Ent. refused to refund my money or my reward. Next, the app is littered with bugs and glitches. Approximately 6 out of 10 times I opt to watch a video for a quick reward, the video ends and brings me to the app store to look at the advertised app. I’m fine with this part; it’s an effective marketing technique for a child’s demographic. However, in about a second the screen goes blank-white, not allowing me to return to AB2. I am forced to close and reopen the app, losing my reward. The sad part is, Rovio Ent. undoubtedly still gets revenue from the unrewarded ads watched by malleable children. 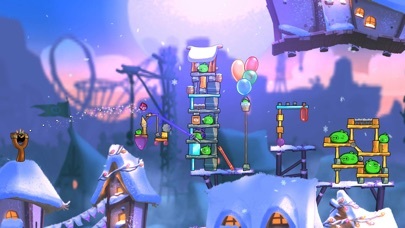 This game could have been so exciting, cute and enjoyably challenging (shout-out to the individual designers), but Rovio Ent. insists on taking cheap shortcuts and not taking care of their customers. I’ll be shocked if they reply to this review with a response that is not obviously automated. Big improvements a few losses. Pretty money hungry. 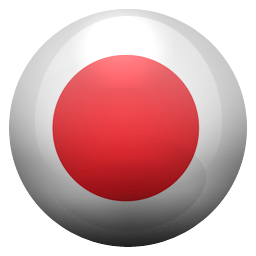 I love allot of the action, fast pace, graphics and game play on this version. Upgrading the birds is a nice touch like the transformers version and others. What I miss in this version and it is a biggie, is you don’t have the option to do a level over but you have to waste resources to power on through. That makes this one greedy on your real-life pocketbook and I believe this version has to be connected to the internet to advance. That is what I love about Angry Birds Starwars2 and the Space Versions among the original. You can play the same level over and over and over till you get it right. I miss having the option of using resources when you give up... 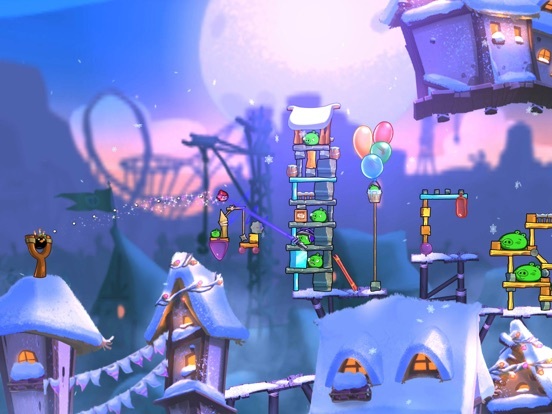 If Angry Birds 2 simply gave the option to redo the level until you got it right or gave in and used resources, then this version might be my favorite yet and ranked at 5stars. Maybe the next version will be even better. I keep buying all the Angry Birds versions. Some are some of my favorite games I play. Others like Epic I played for a couple hours and haven’t played it again in over a year. Enjoy playing the game. Successfully progressed through levels, etc... Even though the different things you must accomplish each day will start to become annoying, you continue to play. This is when you will soon realize that the “ONLY” way to complete challenges/levels to receive rewards so that you can continue to play is by spending gems that you must purchase. One Example: to complete the daily challenge you must “Play a Clan Event” however it has timed out and requires you to pay 20 gems. Another Example: if you play the game, you will see sections repeat themselves. If you are on a regular level you can successfully beat that level, however if it is a boss level, there is rare chest involved, in an arena event or anything that promises to provide a reward, you will be unable to complete with out either paying the 60 gems to continue or running through all your hearts and then paying for gems. Will not even go into the adaptiveness of the Tower or Fortune. In short if you want to play for 5 minutes without spending money, then this is your game. If you have deep pockets and want to spend $200 or $300 a month to play for 30 minutes, then this is your game. Since this seems to be the only way to complain about the app it a shame that I’m not the only one have these problems. The sad thing is they have been going on for 6+ months. Now it won’t play the video to get the extra bird but if u hit the x to close it it works or pay the 60 gems. Between slowing the birds down to in play to blatantly cheating it not that fun to play anymore! Also I’m in the middle of a game & the program just shuts down for no reason. It’s not that I don’t have enough memory either 128gb should b plenty. In the ??? U get to 2 or 3 level & then u get paired with a computer player that is so high u’ll never win! Plus with u slowing the birds down on some of them we have no chance to win! Also a bomb will go off & there is no way the pigs should survive & surprise a pig is still there. Also u’ve chafed the spell of blowing up the pigs they use to pop when something hit them now they don’t. They also don’t fall either! They will b on the side of the block in the air & don’t fall or pop! Cheating! There r a lot more things that r wrong it would take to long to list. I wonder if u play the game to c how screwed up it is! Start fixing the problems instead of add more crap! 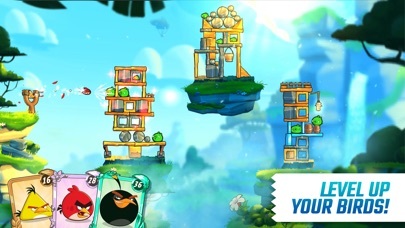 Angry Birds 2 is in my eyes, better than every other game in the series. It has multi-player battles, a never-before seen diversity in levels, spells that act like the old power-ups, but with charm, and nice cosmetics that also affect the gameplay. There are micro-transactions, but they aren’t required, as the game gives plenty more ways to get the same things. My only two complaints are very minor in my eyes, too. The lives system may be a bit of an annoyance, but it can easily be ignored if you are good at solving the challenges the game gives you. It also incentives so me to play the other modes. My other minor complaint is having to unlock the extra flock members with a bunch of feathers or through waiting, but the game helps you get the required feathers, and it doesn’t feel impossible as a result. 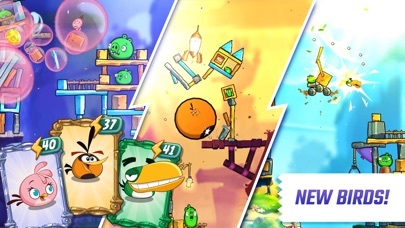 Overall, Angry Birds 2 outshines it’s predecessors in pretty much every way, and I don’t get bored playing this game easily, either. What I think most people who wrote low reviews dislike is something they may have missed entirely but I quite enjoy - the game adapts to your playing style (especially in the arena) and will change levels or pair you with opponents based on how you play. If you constantly beat people way stronger than you, it will keep making it more difficult. If you, however, take the hit and lose (sometimes repeatedly) the game will revert. If you fail a certain level multiple times it will place structures that your playing style is better at and give you free birds. A tip to those who read: if you're willing to fight, and sometimes lose, don't spend your money; if you want to win fast and be the baddest bird in the roost, spend away but only after you've cleared a win streak or beat a couple bosses - you'll get special bonus packages. It's a great game with more facets than I've ever seen in online gaming while managing to stay streamlined. Enjoy! I’ve loved this game and it’s original, but there’s one thing that I don’t like about Angry Birds 2. It was cool when you could hatch your own baby chick, name it, and it would give you a boost, but I’ve found it very difficult to find apples to feed my chick. Sure, they’re found in the arena, the tower of fortune, and elsewhere, but they only give you two apples when you need 5 for a level 1 bird. And if you level up your chick, it gets even harder to get enough apples before you accidentally send your chick packing. I’ve resorted to buying the apples just to keep my bird alive, and maybe that’s the games sceme, but I would enjoy the bird a whole lot more if they were easier to acquire. My suggestion is that you add a weekly apple spin to get a free chance to earn a certain number of apples. For example, once a week I open the app, and I see a Wheel of Apples to get a chance to win from 1-5 apples. I spin the spinner and I get some apples. I think this would make it easier to feed the bird. Got the update - really not enthralled with this game in the first place- really too hard unless you stockpile gems to help you , or spend money - well with the update after just playing arena & watching endless " extra gem ( -3...) videos " - the update took over 100 gems from me ....for no reason 😷😤😡😡....I have played every birds game since they have come out - in fact most of them 3 times to regain all 3 stars on every level- used to love this franchise- now is money grubbing shell-I will still keep playing " seasons " , which I have found to be the best of them anyway, but am tired of the crap this game has become -.....will try another week , but probably will delete- sad , really- so here's my real rating & wish apple would allow these -💩💩💩💩💩Update!!!!! !- decided to give it another try , just spent $20 on packs - had over 1800 gems- played the tower of fortune- hit the pig & spent money to continue 8 .....out of 8...... times - with a supposed 75 percent chance out of every time to miss the pig- piped up every ... single ...... time......now am wiped out of gems - way to keep your cheating unfair game going you greedy cash sucking monsters- screw you Rovio!!!!!! This game is so fun and easy to play, love the graphics and how each bird has its own play card to shoot at the pigs, but a bug happened where I opened the app to play earlier, and I keep trying to get in like normal but then it wouldn’t load the screen with the music, takes unusually longer then it used too, in fact it wouldn’t load at all for like 5 minutes, it only took 30 seconds to load but for some reason it wouldn’t load at all and that was very unusual, but I think I know what I did? Well I logged onto my other Game Center account because I happened to be in the wrong one for a couple days so I hopped back into my normal one oof but then a Game Center thing popped up in the app and I pressed cancel because I already logged into the account but then it would never load, even after restarting my tablet and deleting and redownloading the app! So the new update is awesome with a new bird but there is some issues with it. No bugs that I’ve seen but everything in the menu is annoyingly smaller. I have to squint my eyes to see really anything in the menu. Also I am a little disappointed at your choice of the new bird. I thought it would be a no brainer to pick bubbles but I guess not. Stella is great but she just isn’t that great in an angry birds game like this one because hows she gonna shoot the bubbles? From her mouth?! If you had done bubbles then it would be a lot easier because all he does is inflate and then deflate like a ballon. Plus, doesn’t the game already have enough stuff that makes blocks float? Like the astronaut pig or the pig that grabs your birds. Also water and lava. I could go on. I’ve played every single angry birds game from beginning to end and I am a loyal member to your games. But that’s just my opinion. Also please don’t add the boomerang bird. He is terrible. Thanks! So I got the new update and it said there was an event where you could fly your hatchling with jet packs. Where is that?❓❓❓❓❓❔❔ Also I remember when Stella came out. I was so excited. That was around Halloween. Then Hal came out at Christmas. I realized that extra birds came out around the major holidays. I thought that that meant that Bubbles was coming out for Valentine’s Day. I got a notification back in January that an app needed an update. It was Angry Birds 2. I was excited until I noticed it was bug fixes. I was disappointed. 😞 Next update: Bug fixes. Next update: Bug fixes. Next update: bug fixes. Then something happened. Finally! It was hatchling race. Where is that? Again I am asking. Is it coming soon? Is Bubbles coming out at Easter? Also in the tower of fortune once you get to floor 2 a pig appears. Every Time. It wastes the video ad option for when I need it at floor 29 or 59. Great game though! This game is fun. Lots to do on a daily basis. You can, with patience, build up some gems and pearls which allow your “birds” to get stronger and better. The game pushes you to join clans; groups of people who face tasks and even clan battles. Also fun until your clan goes wonky with almost addictive personalities demanding that players be kicked out because they are not as good as they are. I’m over 500 in Flock Power as I write this so I do okay. I participated. But the constant bickering and harping of clan members (I’ve joined several and just got tried of the drama) makes the game unenjoyable at that level. The game is fun. Players in the clans think that the game should be all you do. Sorry, I have a real life thank you and I don’t want to play this game 24 hours. Even if you join a low level clan by the time it grows this begins to happen. Trolling to kick must be some power trip these people get. I’ll continue playing the fun part but will skip the clans. 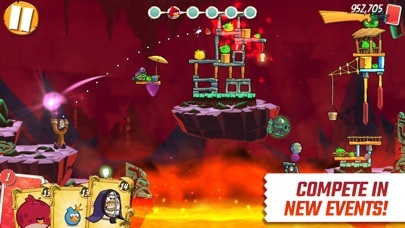 Rovio FRAUD - DO NOT DOWNLOAD! RIPPED OFF AGAIN!!!! In Arena mode, when at the end of Winning Streak, about to win 1500 feathers, the screen locks up. I cannot get the Free Bird (by watching an Ad) nor pay 60 Gems. I am forced to shut down Angry Birds 2, come back in and lose the entire Winning Streak, all the money put into that streak, and the match. I have to start all over again with the useless Arena Tickets as my prize (only after I fight yet another battle using my resources). I’m not the only one experiencing this regularly because I have seen it in the reviews. You’ve gotten so much money from your loyal fans it is not necessary to cheat us this way. This is the only game I play. That’s going to change. 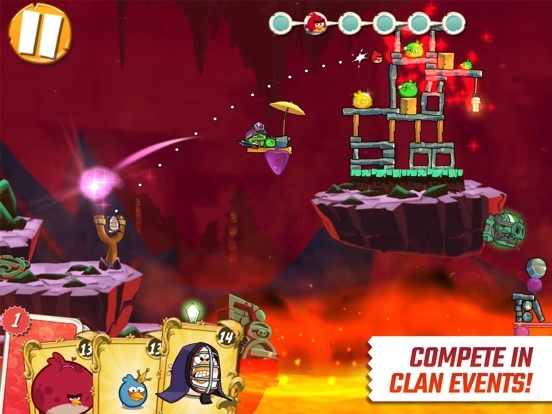 Rovio, you are unethical and lack integrity to the point of FRAUD!! Don’t bother even downloading this game. As soon as you buy one thing, selection is limited & all prices increase (i.e., the price for their only ‘special offer’ allowed to me is $50, similar offer to my son is $20). Was hoping App Update addressed these ‘glitches’ but was let down yet again. I understand you need to make money, but you cannot need it badly enough to cheat your loyal customers. Pros: Great game play, similar to the original with a few twists. The hats are neat too. Con: Everything else. There are too many adds, lots of in game pop ups to try to get you to buy in game currencies. If you lose a round there’s an option to use gems to continue, and of course gems cost money. The hat leveling system is pretty cool, however the bird leveling system is so geared toward people who pay. The hatchling is really hard to keep fed if you level it up past level 2 or 3, expect to spend a few hours each day grinding for apples if you do go much higher, of course you can buy apples with real money as well. Pretty much every in game currency can be purchased with real money, I would call it pay to win/pay to succeed. The app also crashes a lot in the middle of a level or multiplayer match, which automatically counts as a loss. Over all fun game, ruined by a pay to win leveling system, greed by the developer/publisher trying to get the player to spend money, and an unstable app. I downloaded this app on my previous phone and enjoyed playing for a couple months, spending money on the app for apples/gems/etc. I had recently spent approximately $30 right before the last update. However after that update I was unable to get the game to load. The opening screen would come up and the welcome message but it would never go past that screen. I emailed support twice with no answer. Fast forward a month or so and I have switched cell phone companies and purchased a new phone and the app STILL will not load and I STILL HAVE NOT HEARD BACK FROM SUPPORT!!! Frustrating to say the very least. Sadly this has caused the negative review and one star rating. If the game would work my review would be much different. I feel ripped off and ignored, hopefully this review will keep someone else from spending their money on an app that doesn’t work. AB2 is a fun game that you can spend a lot of hours - and $$$$ - on. As others have said, the game is much more "pay to play" oriented than a "free" game should be. For example, to complete the daily 6-part task to earn a reward, every day requires you to claim your "gem letter" reward ... which you must buy every month to continue receiving. A bigger issue, however is that the app crashes multiple times every day - often while watching free videos to gain extra lives. When this happens, you lose ALL progress on the round because it resets. If you used any gems or spells in the round prior to the crash reset, they are gone forever. If you are in the middle of a multi-game win streak, it may reset to zero or (if you are lucky) you may only need to replay the game you were in. No matter what, this is very frustrating. To make matters worse, customer service for the app is essentially non-existent, as many players find that messages and complaints sent to Rovio customer service go unanswered. Quickly Losing Me as a Player. I enjoyed the game in the beginning, but since the developers have gotten more and more greedy, it’s just more annoying than fun. I’ve wasted far too much money on the game not anymore. On the days when there are 4 rooms at the beginning stage of the daily challenge, it’s almost impossible to beat without playing on. I’m not doing that. They’ve recycled Halloween stages of some old King Pig Panic stages into the daily challenge. Rovio your players are smart enough to figure that out. Put the beginning stages back to 2 or 3 rooms. Then the Roman hats were raised. There are too many cheaters on The Mighty Eagles Boot Camp. Ridiculous! The hat events mostly benefit those who can afford to keep playing the Tower of Fortune. The events are way to long and benefit those paying in the elevator game. The hat event levels are ridiculously hard. 1 positive is being able to get extra of the common chest by watching a video. I’m losing interest in the game. Read some of the Facebook comments Rovio to see how ticked off your players are becoming. 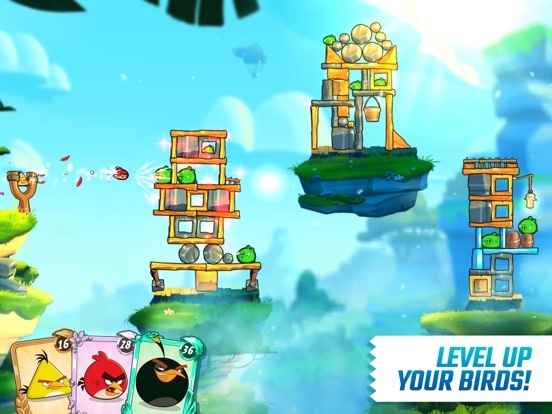 Angry Birds 2 is a lot of fun and there’s tons of content to keep you going. Though, if you’re the type of player I am who doesn’t mind spending money on app games to help support the developers. You might feel cheated with some features. The pink gems you buy as premium currency in-game. When you buy a treasure chest with those, you should get ALL the items in the chest. Not have to pick one, then have to spend even more gems to get another from the same chest. This is a REALLY broke feature. Please don’t rip-off your supporters that actually spend money on Angry Birds 2 and allow players to obtain ALL items from the chests. Yes I’m aware you can obtain gems for free in-game as well. Though this does not justify those who spend the ridiculous amount of money required to buy such a small portion of gems, just having to spend even more gems... It’s truly ripping off your customers, your supporters. Please fix. Absolutely vehemently disappointed in the usage of in app purchases. Paid options are forced in the player's face and often required to move on. The first time you fail a level you are prompted with a "FREE RETRY" prompt that sets you up for paying and/or watching ads to receive the same benefits later. I don't want to use your stupid free birds, I want to redo the level and get a better score the honest way. Not to mention the ridiculous UI that shoves popups in your face. The ads they give don't have close buttons either, so you're forced to either close the app or watch the whole thing. 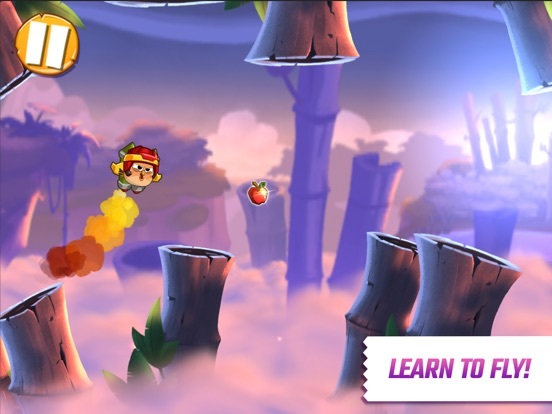 Rovio, I'm fine with you making money off this app. Frankly I support you doing so. But you need to stop doing it in such an asanine manner. One good example of ads I can think of is Flappy Bird. There were ads, but they didn't fill the whole screen and they didn't compete with gameplay. That's good advertising. Until you change your crappy money grubbing system I'm not changing this review. I'll be posting the same on the original Angry Birds which you also have ruined with ads. Good riddance Rovio. I have been an Angry Birds Fan for a long time. But the thing is that when I play on this iPhone, I just can’t hatch the egg or I can’t join a clan, though I am already at level 16, when I just try to hatch the egg or clan it will randomly have red come up and say, “ You aren’t able to use this kind of feature, and I think the Unique hats should be cheaper like 350 pearls, and the last thing is...TOO MANY STUFF NEEDS REAL MONEY AND EVERYTHING IS SO EXPENSIVE because in order to continue the the looting in the Mighty Eagle Mountain you have to pay so many gems after paying the amount 200 gems, and when you exit you will get bad rewards and you might get caught by the pigs and the gems you spent will be such a waist, though the game is so creative because it has hats you can buy for the birds. If the Company is reading this can you guys please make everything cheaper? Thank you for reading I hope you think the same. An excellent game bogged down by excessive microtransactions. 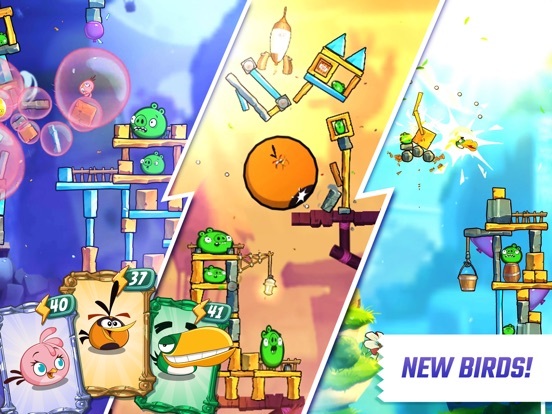 The core angry birds experience here is better than ever, and the new levels and card based bird selection system is awesome. The new features like pvp area and boss battles don’t feel tacked on and represent smart additions to the game. The leveling up your birds to gain multipliers and hat system is fun as well. However, the game is absolutely packed to the brim with microtransactions, consistently badgering the player with packages of currency ranging from a dollar to 50. In addition to the usual grabs for cosmetic add ons, the game also contains ads every few levels. In addition to that, it sports a variety of timers and life systems that urge you to either pay or watch ads to continue playing. Any one of these systems would be expected in a modern free to play game of this quality, but for it to contain ALL of them at once feels greedy and imposed heavily on this player’s enjoyment. There seems to be a massive amount of excellent content here, but the constant barrage of ads and in app purchases have driven me away. I don’t want to pay, all the time. I used to play this game every morning. Now there’s a pay to change opponent in the arena and all I keep getting is people way higher level than me. So the little gems I have on the one in twenty chance I actually get to a higher floor in the elevator, they are just gone now. My clan, the second one I’ve joined, won’t get involved with the clan battles and there’s no way to get ahold of the leader directly or just be able to join without being a leader. How do you become a co-leader? The game was fun but I feel it’s just trying to gear around pay-to-play. Weekend long arena event that I get within one last win to get the big chest, hit the off button on my tablet, without have an opponent, and I lose my progress after using all those tickets to get up there. I’m disheartened and think I may stop playing. I know it’s only a game, but they are supposed to be fun, right? Don’t do free play games and deceive, just put the price next to them and people will pay if they want to play. So, I’ve played for around two weeks now and I’d say it’s getting very frustrating at times. The amount of micro-transactions popping up at your face is just an insult to injury. To be fair, though, this is in fact a free to play game and I’m happy for that. But this isn’t the point of this complaint. The point of this complaint is the broken ad system. A little bit ago I competed against this one guy (I had a 5 winning streak) and ‘technically’ lost against him since I had a marginally lower score. So to continue my streak I tried to watch an ad since there was an option to. However, this is when the game couldn’t decide whether to show the ad or not. I pressed the button multiple times to no avail. To fix this, I exited and returned to the game. To my relief, the ad played. After finishing, though, I did not get the extra bird to continue my streak. This is probably the most maddening thing that’s ever occurred to me on a mobile game. I thought you were better Rovio, FIX YOUR GAME PLEASE! P.S: There are a lot more janky stuff in the game I can’t mention since it’ll be too long. This Angry Birds game is pretty good. 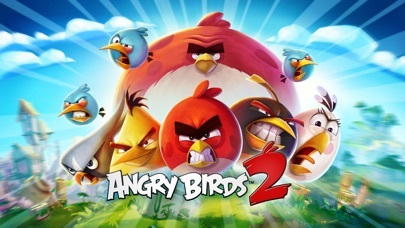 It's a great way to spend your time especially if your already a fan of angry birds games. Anyways, the downside, in my opinion, is the clan mode. I don't see the point in clans other than to be sociable yet no clans have members who are active at the same time as you on a reliable consistent basis. Or at least enough to build up a relationship and/or bond with that individual. Also it's quite difficult to level up your birds to anything lv 55+ which is what most of the clans, who are any decent, ask as a pre-requisite to joining their clans. I feel like I'm applying for a security clearance into a secured building with nothing inside of it. But i digress. The itself is good, just the clan mode needs something more to it. Maybe "clan wars", or some sort of way to battle other clans. Just my opinion. I’m sick of this game. Every time they update for some “special feature” it’s just to take all your gems or annoy you. The latest is a unattainable arena treasure chest. Putting me against opponents with 60-70 higher power who use all the spells. So obviously I’m going to have to purchase more birds to win. I reach the end, try to use the advertisement to get a free bird (I need all the birds I can get) and of course, it freezes. It won’t let me proceed no matter what I do. So it resets my to the beginning of the arena winning streak. ALL THE TIME. Or the tower. I almost always get a pig card within the first few floors. Clan challenges are awful too. Everyone expects everyone to get 6, 9, 12, 15 points. But it costs a ton of gems to do that. I’m not spending actual money to buy gems to play a game they’ve taken most of the fun out of. It’s gotten to the point where it doesn’t matter what I do or how I play, progress is extremely slow and difficult and the rewards for winning are sub-par at best. the worst mobile game i have ever played. 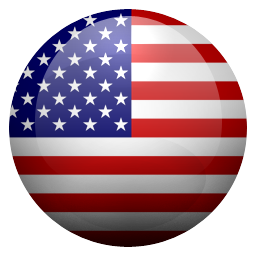 i downloaded this “game” to be a time waster for waiting in line, long plane rides, etc. even then, as a game i did not intend to have fun with, it disappointed me. i deleted the game after one hour of playing it. and so far, the whole game has been a tutorial. the game always held my hand, telling me how to go to menus or how to upgrade constantly. this was consistent until level 21, which is when i realized how much fun i wasn’t having. once you die, and lose all your lives, you have to wait 20 minutes for your next life. if you lose that one, you guessed it; that’s another 20 minutes you have to wait. they make you wait to play their game. no game over or anything. they just make you wait twenty minutes. the loading is VERY long. it took about 10 minutes just to boot it up the first time i played, and the loading screens take anywhere from 5-10 seconds. this happens every time you start or beat a level. it also happens when you open or leave menus, shops, etc. the gameplay was not inherently fun either. it was just infuriating how much they took from you. you lost treasure, gold, etc. from one little mistake, and there was no way of getting it back. if i has to sum up this whole game in one word, it would be “waiting.” this game is a whole lot of waiting for not a lot of fun. along with all this, it gave you three stars. every. time. regardless of how much you screwed up, you got a high score. So I did have to spend a lot of money on this game which I do think is kind of no fair! That’s the only way you can move forward in this game. It gets extremely hard to get feathers to upgrade your birds after you get them to rank 20. The tournament isn’t fair because when you do get hats to improve your rank it’s doesn’t really matter you are pulling the same low numbers and I don’t think they should rig a game like that! They need to also increase the daily challenge reward after your birds are at a certain rank because 400 feathers isn’t helpful when your birds need 30,000 feathers to upgrade! The tower is a cheater it’s extremely hard to get even past level 20 on it without spending 200 of your gems so you have to end up spending money if you want the rewards. The game is fun but it needs to be improved for its users and not just a bank for the company! It’s OK, not bad but not great either. First of all the game looks great. The animation, the level designs, and the music is amazing. However, the game doesn’t feel as fun as it used to like the first Angry Birds. The fact that I only have a few lives, I have to wait over 20 mins for them to reload is ridiculous. That’s not a great experience, because if I lose all my lines I have to wait almost a whole TV show just to play again. On top of that, I’m not sure how to change to the exact bird I want. Maybe it’s me, but I’ve searched all over on how to do that, and I don’t believe you can. Why make the game feel like you have less choices? All the count down loading times are just wait to long. I end up just going to another game, completely forgetting about AB2. It’s hard to enjoy it fully. I’m probably gonna delete the game very soon, it just seems like the Rovio company is extremely money hungry. Developers there’s a problem with the app!! I am a person who NEVER pays to play games but I enjoy Angry Birds 2 so much I have now twice bought gems to keep playing, but there’s a problem!! I usually play the Arena daily and have been “robbed” on several occasions. It seems when I reach 6 out of 7 games that the game freezes and it won’t let me watch a video for a free bird. When I go back to the arena it’s back to the beginning at 1 out of 7. That’s not fair to us paying players! Please fix it (and some gem credit would be nice too). Thanks. There’s still a PROBLEM in the ARENA!!! Levels 4 & 6 are CONSTANTLY FREEZING UP and I am LOSING MY CHANCES TO WIN!!! It’s also using my SPELLS AND GEMS and isn’t letting me get to the 7th level (or whatever they are called). PLEASE FIX THIS IMMEDIATELY!! ITS NOT FAIR!! I also don’t like that we can no longer get another bird by watching a video. I changed the rating from 4 to 1 since you still haven’t fixed this issue since my post above. VERY DISAPPOINTED I’ll have to stop playing if this isn’t fixed, AND STOP BUYING GEMS TOO!! This is one of the best mobile games I ever played, and it has gitten much better from when I retired. Now I'm stronger than ever with higher card level, a better slingshot, and my adorable little Silver Jr.! Speaking of my adorable little Hatchling friend, I've finally run low on Apples to feed her with. 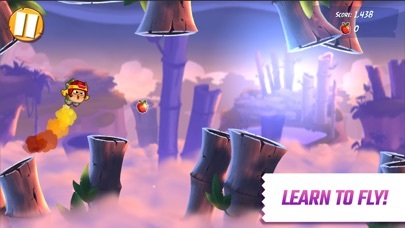 I would appreciate for there to be an Apple Tree similar in function and acquisition from Team Kirby Clash Deluxe's Gem Apple Tree. To be quick, you can only buy so many Gem Apples from Magolor before you reach the limit. Then, the tree grows bigger and gives you bushels of Gem Apples. I believe that with my proposal, a reasonable limit of Apple purchases can be made before a tree grows in the Nest screen, which yields a daily harvest proportional to the number of Apples the Hatchling needs to stick around.